Used book sales are somewhat perilous for me (as we've already established. ), and this past weekend was no exception. The family and I dropped in on the League of Women Voters' book sale with an empty whiskey box and a crisp $20 bill. We had some tough choices to make -- the woman at the cashier's table was in no mood to haggle. Sadly, Henri de Lubac's intro to Teilhard de Chardin didn't make the cut (probably just as well; I'm not primed to take Teilhard "into account" again any time soon). But the kid managed to score several of those "cat warrior" books, so he was happy. Eighteenth Question: Was Peter at Rome, and did he hold the episcopate there for many years? We deny against the Romanists. I am grateful to both Juan C. Torres and David Roberts for their thoughtful responses to my book, The God Who Saves: A Dogmatic Sketch (hereafter TGWS). I wish to repay their generosity by offering some further reflections on my work. This was a very personal book to write, and it has become even more personal to me in the months since publication. The book cost me my job, forced my family to relocate, and has been the cause of great, enduring pain. In a way, the book’s theme of cocrucifixion and existential abandonment has become more real to me since writing it. But I do not regret a single word. It was something I had to write; the words were almost drawn out of me, as if I were more their amanuensis than author. Ents, Hobbits, and Salvation in the Shadow of Charlottesville: David Roberts on "The God Who Saves"
There is a scene in the film adaptation of JRR Tolkien’s The Two Towers (it plays out a little differently in the book) where Treebeard – an Ent – shares an exchange with Merry – one of the Hobbits (if you don’t know what Ents and Hobbits are then you are beyond my sympathy). 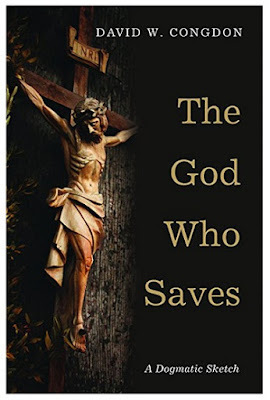 God Saves Us from Ourselves for Others: Juan C. Torres on "The God Who Saves"
Reading David W. Congdon’s The God Who Saves (TGWS) is truly an unsettling event. At least it was for me. 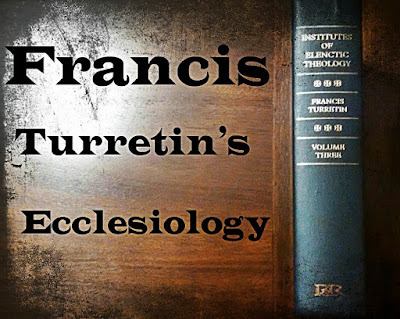 It forced me to check my presuppositions and rethink my beliefs concerning, among other things, eschatology, apocalyptic, and how they are connected to traditional Christian notions of the afterlife. I have read and reread TGWS numerous times. I was one of the first readers to review it on Amazon, and I have convinced many people to buy the book for themselves--or at least it to bump it up on their reading lists. Did Jesus and his earliest followers expect an imminent apocalyptic conflagration that would end history and usher in the Kingdom of God? Dorothee Soelle and Luise Schottroff question that claim, which was a commonplace of much 20th century scholarship until the work of the Jesus Seminar began in earnest in the mid-1980s. Among the dozens of books on Jesus on our shelves, this slim volume was one of the shortest ones and had one of the most winsome covers. It's a good read and features artwork, poetry and reflections interspersed throughout the main narrative. The authors, esteemed German feminist thinkers who have written widely on political theology and hermeneutics, are aiming here for a general audience, but there is a helpful bibliography at the end suggesting further reading. Jesus of Nazareth, By Dorothee Soelle and Luise Schottroff, Trans. John Bowden (Louisville, KY: Westminster John Knox, 2002). Seriously, though, Paul van Buren’s work – all of it – deserves to be - and needs to be - much more widely read today. Bold is mine in the below. Paul M. van Buren, A Theology of the Jewish-Christian Reality: Part III, Christ in Context (San Francisco: Harper & Row, 1988), 129–30. The apostolic witness to Easter is insistent that the risen one is no other than the crucified one. But crucifixion was unquestionably the official form of public execution for political crimes, primarily for rebellion against the political power of the Roman empire. To proclaim Jesus alive, therefore, was a profoundly political act. It was to affirm God’s reaffirmation of one who died in conflict with the misuse of political power and so to affirm God’s cause in the just use of human power. That was the “spiritual” import of Easter faith. Well, it has actually been three weeks since the last link post. Which really isn’t that bad considering that we’ve been on hiatus…. But good news, DET fans: we’re back! That’s right, summer hiatus is over here at DET and we’ll be back to posting regularly starting next week. We’ve got some exciting things planned for the fall, so stay tuned! In the meantime, you’ll be able to enjoy perusing these links over the long weekend before we start back up on Tuesday. Before we get to the links, however, there are three things I want to highlight for you. First, my book on Helmut Gollwitzer is now available for pre-order! You’ve all been reading my posts on Gollwitzer for years, and now you can start preparing to engage with a far more sustained treatment. Secure your copy today!